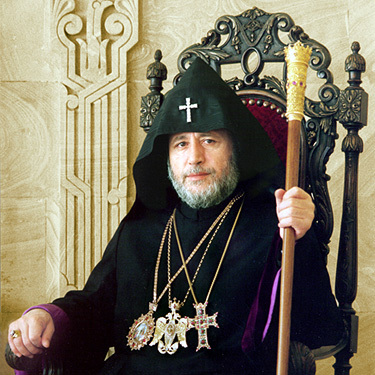 His Holiness Karekin II, Supreme Patriarch and Catholicos of All Armenians; released a statement condemning the aggressive military actions unleashed on April 1 and 2 by the armed forces Azerbaijan on the line of contact with Nagorno-Karabakh. The statement reads: “We strongly condemn the attacks by Azerbaijan along the border of Karabakh, which was also directed against settlements and civilians. Our prayers and support go to the authorities and people of Nagorno Karabakh, the valiant commanders, and the soldiers of the armed forces. We urge irreducible, unshakable faith and courage to resist these hostile attacks against the homeland’s independence and the security of our people. Azerbaijan’s continuous provocations and military actions undermine the stability of the region and undermine the efforts made to resolve the conflict. We call upon the international community, particularly the countries involved in the conflict resolution process, to stop the ongoing aggression by Azerbaijan against Nagorno Karabakh. We pray that the Lord will accept the souls of the victims into His heavenly kingdom, give comfort to their relatives, and grant the wounded a speedy recovery. This entry was posted in Featured News, News and tagged Azerbaijan, Let God, Nagorno Karabakh, Supreme Patriarch by Orthodoxy Cognate PAGE. Bookmark the permalink.